"Another solid offering from best-selling Swedish author Backman, with many parallels for American readers and small towns everywhere." "The sentimentally savvy Backman (A Man Called Ove, 2014) takes a sobering and solemn look at the ways alienation and acceptance, ethics and emotions nearly destroy a small town and young people." 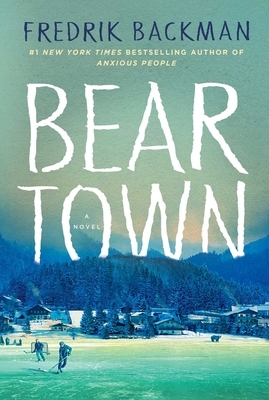 "[A] slow burn of a novel about a community that pours all its hopes into a youth hockey team. Think Friday Night Lights for Swedes." "As popular Swedish exports go, Backman is up there with Abba and Stieg Larssson." "Backman is the Dickens of our age, and though you'll cry, your heart is safe in his hands."